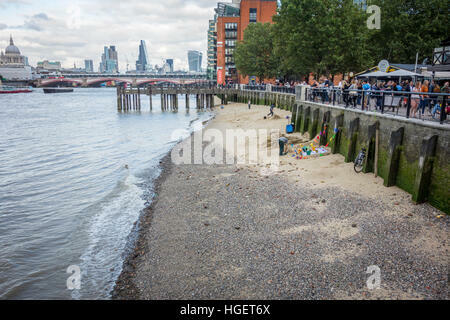 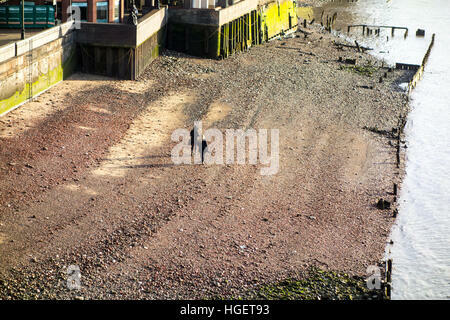 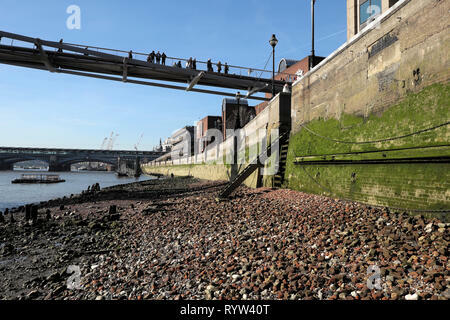 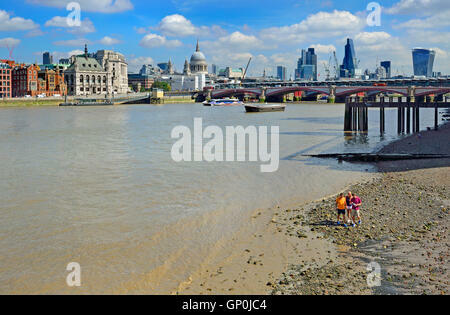 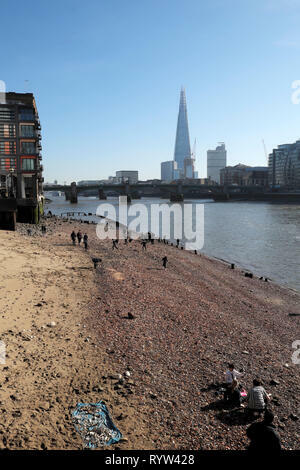 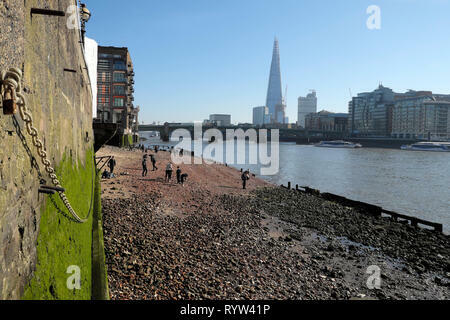 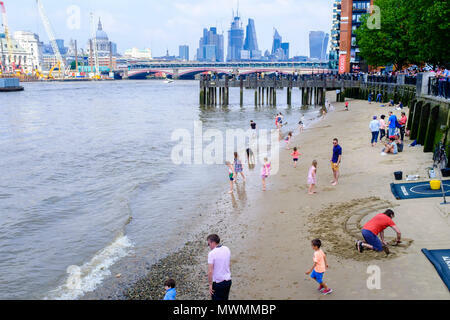 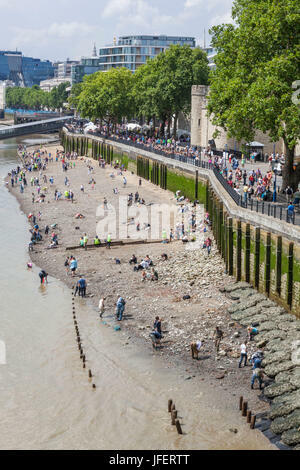 People enjoying the sandy beach of River Thames foreshore at low tide. 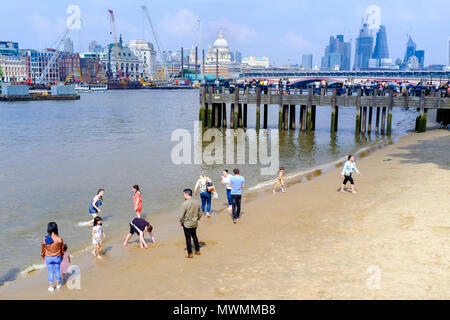 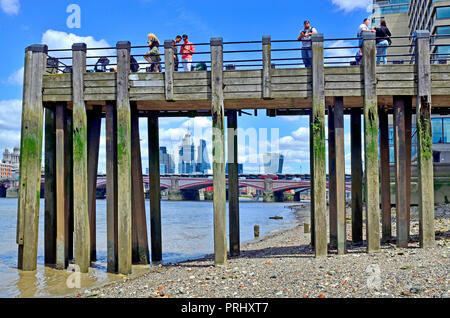 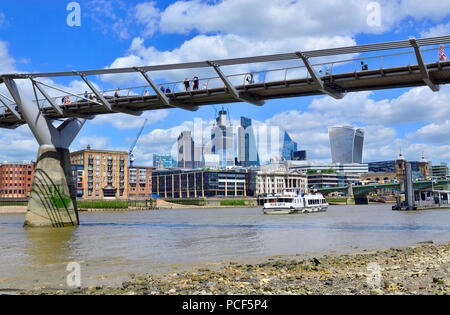 People on a wooden pier on Gabriel's Beach, River Thames at low tide. 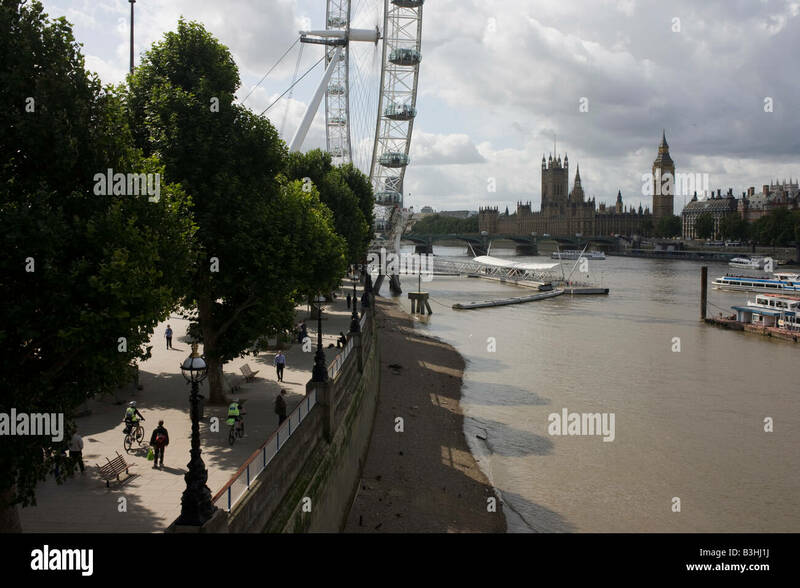 London, England, UK.